Trigger Pull: The trigger pull on the Daisy Powerline 5501 is about average, a bit long but fairly smooth and about a medium pull weight. The first part of the action loads a BB into the chamber and the second part releases the hammer which give the pistol a bit of a creepy first stage. Accuracy: I was not impressed with how my Daisy 5501 performed in the accuracy portion of this review, it got about a 3 inch 8 shot group from 20 feet out in a semi rested position, in comparison many of my BB pistols can easily get a 1 inch grouping shooting this way. I may try a different brand of BBs even though the RWS BBs I used where of high quality, they just may have not suited this pistol? FPS velocities where a bit under the manufacturers claimed ratings but very close at a respectable average of 386 fps with my 8 shot test shooting on a somewhat cold day. Not bad for a blowback pistol! Build Quality: The Daisy Powerline 5501 is a pretty much all metal pistol with what looks to be very good build quality. The 5501 is made in Japan, I have found most Japanese made guns to be well made in the past. The frame, slide, trigger, safety, slide catch, CO2 screw, and de-cocker are all metal and of course many of the internal parts too. The only plastic parts to speak of are the grips and the magazine. I would have liked to have seen the magazine with more metal in it but for the most part it is protected within the gun so you should be OK.
Realism: The Daisy Powerline 5501 is loosely styled after the Sig Sauer in combination with a Walther semi auto pistol. It is lacking a cut-out ejection port that would have added greatly to its realism. I would have also liked to have seen a metal magazine as it's seems a bit cheap compared to the rest of the pistol. I do like the fact that the barrel tip has a large diameter opening making the gun look more like the larger caliber weapon it is styled after. It's also one of the few BB pistols with a working de-coker on it. Lots of metal in this gun! Comments: All in all I liked this Daisy Powerline 5501, other than the poor results I got in terms of accuracy using my chosen zinc platted RWS BBs, the Powerline 5501 was really very good in all other aspects. I think it is a rather nice looking gun with excellent build quality throughout with lots of metal giving the 5001 a nice 1.5 pounds weight. The Daisy 5501 had very heavy and snappy blowback while retaining decent shots per CO2 and respectable close to 400 fps real world velocities. I bought the daisy 5501 pistol at my Gallup nm Wal-Mart and I have to say it is perfect for self defence I get about 200 shots per co2 the clip hold 15 bbs and 200 shots per co2 that is a lot of shots... 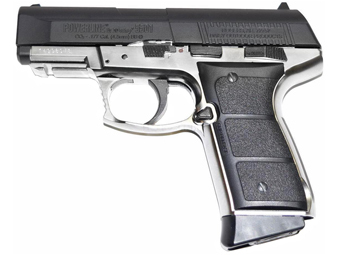 I tested it for accuracy and about 99.9 percent accuret and penetrating point is about 6 out of 10 that is about 60 percent perfect for self defence I highly recemend this co2 bb gun for underaged people like me and convicted fellins to... the ppks is a great trainer to use as well. 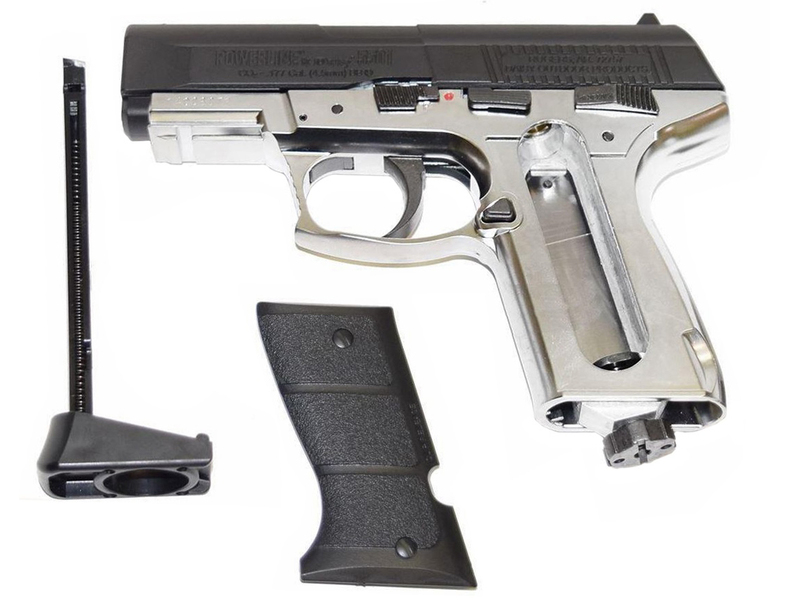 http://www.ReplicaAirguns.com - Daisy Powerline 5501 Blowback CO2 BB Pistol Table Top & Shooting Review. This is a table top and shooting review combined of the Daisy Powerline 5501 Blowback CO2 BB Pistol. I show you around the gun and walk you through its basic operation and handling. I also test the Daisy 5501 out with my Chrony Chronograph to see what the real world fps velocity actually is and I also shoot it from 20 feet out on a target to see how accurate this BB pistol is. All in all I liked this Daisy Powerline 5501, other than the poor results I got in terms of accuracy using my chosen zinc platted RWS BB's, the Powerline 5501 was really very good in all other aspects. I think it is a rather nice looking gun with excellent build quality throughout wiht lots of metal giving the 5001 a nice 1.5 pounds weight. The Daisy 5501 had very heavy and snappy blowback while retaining decent shots per CO2 and respectable close to 400 fps real world velocities. 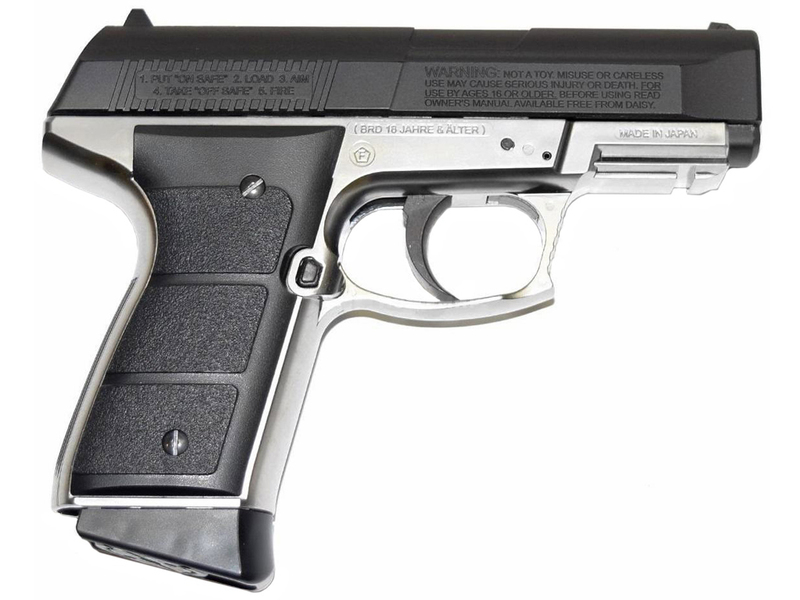 This Daisy Powerline 5501 blowback BB pistol is priced at well under $100 making it very good value in my mind.